When all you desire is comfort food for the soul, there’s no better choice than Vietnamese cuisine to satisfy your hunger pangs. Hearty, flavourful and unpretentious, Vietnamese food covers all the bases when you need a delightful meal. Be it a piping hot bowl of pho topped with fresh garnish or a tasty Com Tam rice dish with the works, all you have to do is to make a simple order from GrabFood’s Vietnamese food delivery service to experience authentic Vietnamese cuisine wherever you might be. There’s much to love about Vietnamese cuisine, as foodies will attest. Characterised by the extensive use of fresh ingredients, condiments, herbs and spices, all these elements come together flawlessly to produce a well-balanced combination of contrasting flavours and textures that excite the taste buds. Some common ingredients you will find in Vietnamese food include fish sauce, shrimp paste and soy sauce. Moreover, who can forget the presence of fresh herbs and vegetables such as lemongrass, ginger, long coriander, bird’s eye chilli and lime, which give the food a refreshing taste that’s distinctly Vietnamese. It also helps to know that Vietnamese food is considered one of the healthiest cuisines in the world. Yet another good reason to indulge in Vietnamese fare! Pho: Arguably the most iconic dish from Vietnam, this popular street food is a bowl of brothy goodness. The heavenly combination of chewy rice noodles, thin beef slices and fresh herbs encased in a hearty broth makes for a simple yet effective meal to warm the hearts and stomachs of those who savour it. 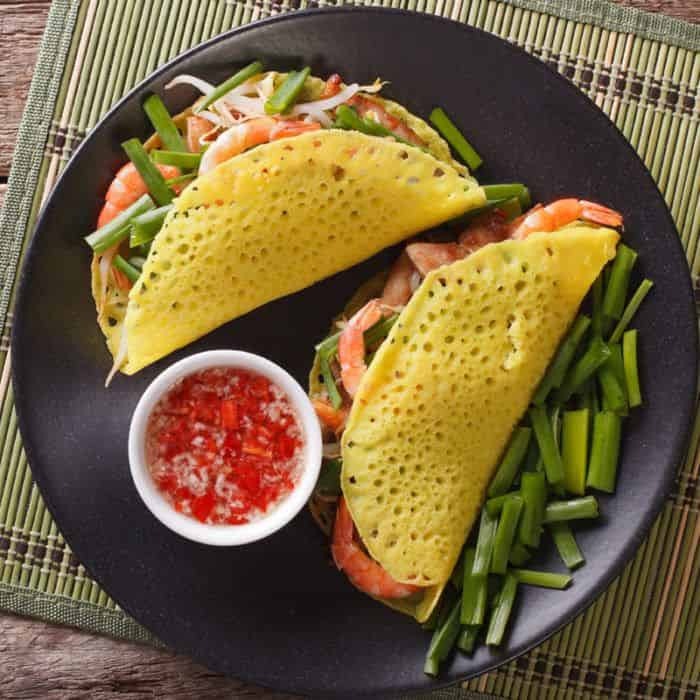 Banh Xeo: This dish, which literally means “sizzling pancake”, consists of crisp, savoury pancakes generously stuffed with vegetables and meats, including pork, shrimp and bean sprouts, giving it an interesting mix of soft and crunchy textures. Com Tam: Referred to as “broken rice”, this unassuming dish is elevated to the next level when paired with other ingredients for a delicious well-rounded meal. Take Com Tam Suon Nuong for example, where com tam is accompanied by juicy grilled pork chops, an egg and vegetables at the side. Delish! 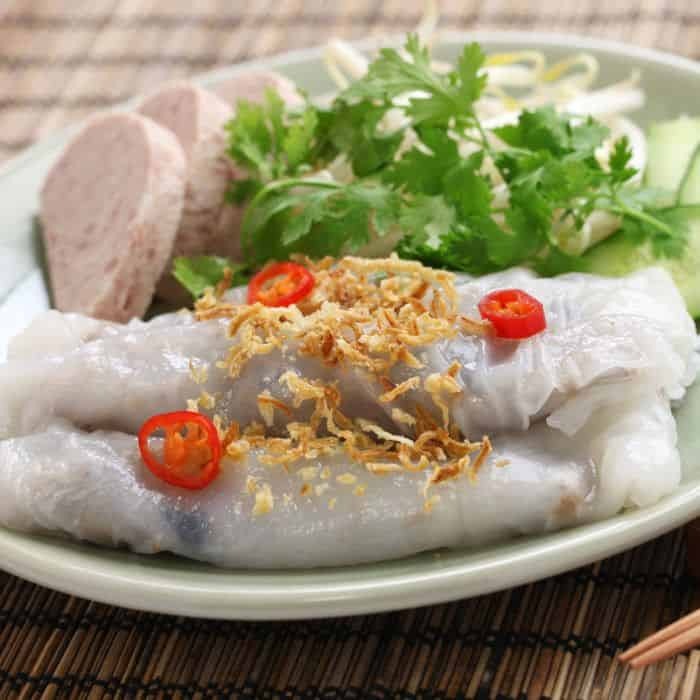 Banh Cuon: The Vietnamese steamed rice rolls are filled with minced pork, wood ear mushrooms and shallots and served with sides such as cha lua (Vietnamese pork sausage) and a fish sauce-based dipping sauce called nuoc cham. An excellent dish for a pick-me-up at any time of the day! Pho. VN: This Vietnamese restaurant houses a great assortment of the best Vietnamese eats! Specialising in popular street food from Vietnam, expect to discover appetising dishes such as the Special Beef Combo Pho and Broken Rice with Pork Chop & Steamed Ham, all at affordable prices. Lucky Saigon: It doesn’t get more authentic than this! Feast on a diverse selection of Vietnamese fare, ranging from the moreish Banh Xeo to the French-influenced Banh Mi, or Vietnamese baguette. Don’t forget to try out the famed Vietnamese coffee! Pho-losophy: As its name suggests, Pho is the restaurant’s signature dish, where the broth is slow-cooked for over 20 hours to achieve the perfect depth of flavour. Served with rare Australian Angus beef slices, you definitely can’t help but slurp up every bit of this wholesome noodle dish. 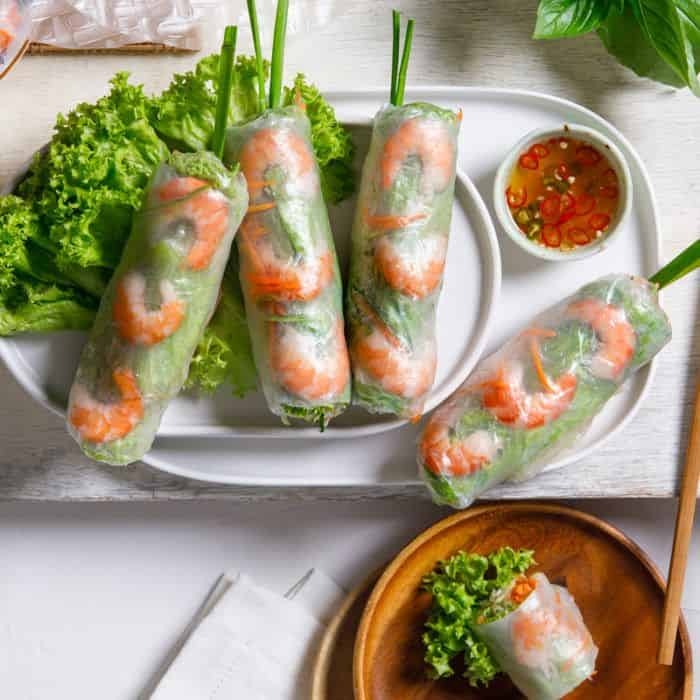 Besides pho, you can get your fix of Com Tam and other tasty Vietnamese dishes including Bun (Vermicelli Salad) and Goi Cuon (Rice Paper Rolls). Developed a craving for Vietnamese food? With GrabFood’s food delivery app, you can order a variety of delectable Vietnamese fare to enjoy!